Clinica del Lavoro "Luigi Devoto"
List of Countries » Italy » Milan and its Province » Clinica del Lavoro "Luigi Devoto"
The "Clinica del Lavoro" ("Work Clinic"), now dedicated to the memory of its founder Luigi Devoto, was the first in the world specifically dedicated to Occupational Health. In 1901, Devoto had "started the Il lavoro, rivista di fisiologia, clinica ed igiene del lavoro [The Work, Journal of Physiology, Clinic and Hygiene of Work]. This periodical was renamed La medicina del lavoro [Occupational Medicine] in 1925 and is still published today. In the first issue Devoto published an article entitled 'Occupational Illnesses in Italy', in which he characterized six groups of work-related diseases and for the first time clearly defined the field of action of the new discipline, 'medicine and clinic of work', or occupational medicine"1. 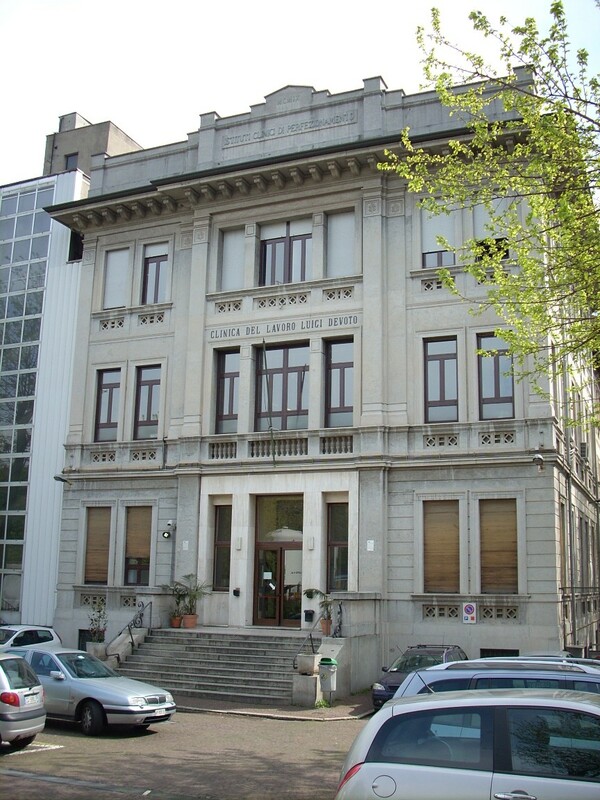 The Clinic (via San Barnaba, 8) was officially inaugurated in 1910 and now it is a part of the State University of Milan2. Along its entrance corridor a Luigi Devoto's bust can be seen. 1. W.F.Bynum and Helen Bynum, Dictionary of medical biography, Greenwood Press, Westport (CT) 2007, vol. 2, p. 413. 2. More informations at the Clinic official website.